Brands that possess strong positive associations with a product category often find themselves in a favourable position when it comes to extending that brand into new markets and reach new audiences. Take the example of Nestlé’s Aero brand – notoriously associated as a unique ‘bubbly’ chocolate bar – which has more recently ventured into the hot chocolate industry by exercising Ansoff’s fourth strategy, ‘related diversification’. 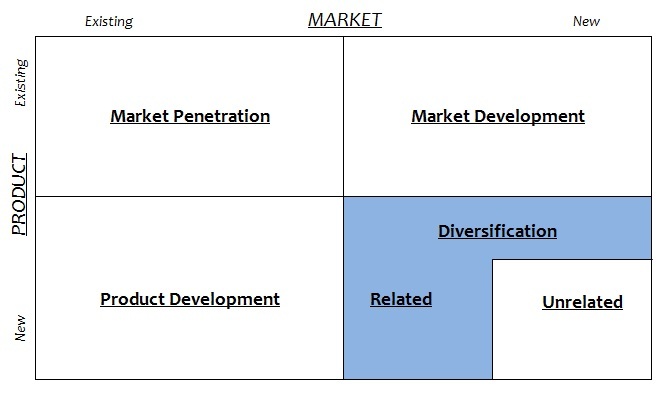 Related diversification involves the production of a new category of goods that complements an existing line or current business activity, in order to penetrate a new but related market. The Aero brand was born into the UK with the launch of Mint Aero chocolate in 1935, before growing internationally with an increased range of flavours, such as milk chocolate, white chocolate and strawberry, in various regions at various points in time – and later in the newer form of ‘Aero Bubbles’. 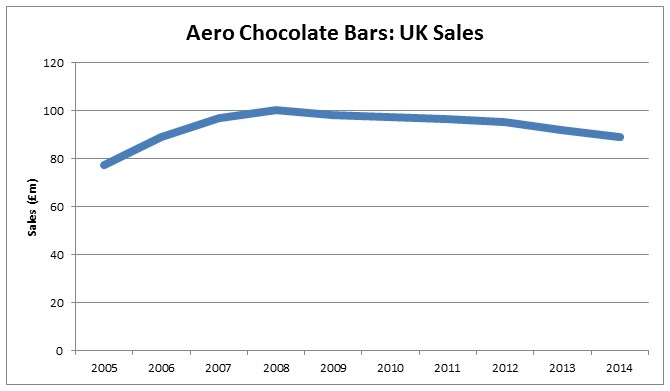 By 2009, value sales of Aero reached £97m in the UK alone, making it the sixth biggest chocolate bar brand behind Cadbury Dairy Milk, Galaxy, Mars, Kit Kat and Flake, according to Mintel. Not content with further profit opportunity coming solely from overseas chocolate bar markets, Nestlé sought to utilise Aero’s strong brand in a new industry in the UK. In identifying a market to target, just like Virgin when approaching its unrelated diversification strategy, Nestlé required not only a market that offered growth potential (and therefore profit potential), but also one in which existing associations were relevant to leverage the brand and create a competitive advantage. For example, using the Aero brand to enter the dog food industry would have been far from suffice since chocolate is poisonous to dogs, and new associations between Aero and dog food would inevitably create challenges when selling chocolate. This explains why Nestlé instead launched dog food through the standalone ‘Bakers’ brand. More appropriately, by diversifying Aero into hot chocolate Nestlé met both criteria above. Firstly, industry forecasts for the UK were very positive, with Mintel estimating growth of 51% between 2008 and 2018 (to reach retail value sales of £191.3m), combined with a conclusion from Nestlé that there had been a failure to drive the product category forward in recent years due to a lack of investment by existing players. Secondly, and just as importantly, it offered the opportunity to bring an instantly recognisable and strong brand to the market; with Aero’s USP of being “the bubbliest hot chocolate on the market, perfect for that indulgent moment at just 99 calories”. Whilst Nestlé does not disclose individual sales of Aero Hot Chocolate, the success of this related diversification strategy is demonstrated through year-on-year growth in Nestlé’s “other hot drinks” sales, hitting £21m in the UK in 2013, for the first time. What’s more, Nestlé has further developed its related diversification strategy for Aero by extending it into the UK yoghurt market. A final point worth highlighting on this topic is the instances where a brand’s reputation in one or more existing markets has allowed it to create a whole new product category through its related diversification strategy. British vacuum manufacturer, Dyson, offers a prime example if this; traditionally associated with revolutionising the vacuum industry with new innovations such as the bagless device, Dyson has been able to exploit these positive associations by developing new inventions that provide consumer benefits, such as launching the bladeless fan into the UK market in 2009. Today, the bladeless fan market has grown and competition is rife, but this would have been less likely without Dyson’s reputation for useful innovation as the starting point. Not only does a company like Dyson help generate more initial exposure to the new industry, but also, when an unknown start-up bravely attempts to create a new industry, it’s faced with as big a challenge to simply build its own credibility, as well as that of the industry. This entry was posted in Marketing Mix and tagged Aero, Ansoff Matrix, Brand Associations, Diversification, Dyson, Related Diversification. Bookmark the permalink.